Nigeria’s Ambassador to Saudi Arabia, Muhammadu Modibbo, has encourage the federal government to ban unemployed Nigerians from travelling to the Kingdom in search of jobs in order to save Nigeria’s image. 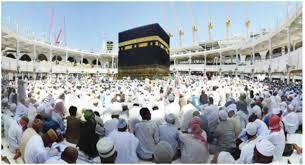 Modibbo made the appeal in an interview with the News Agency of Nigeria (NAN) in Makkah, Saudi Arabia. He said the embassy was also concerned about the increasing cases of women working as maids that are being abused, and some unscrupulous Nigerians involved in drug trafficking. According to him, the embassy has been intervening in cases of drug peddling by some Nigerians, adding that “there are many Nigerians on death row for the offence. “Many of them have been here for many years working and will not return home but if they are arrested, they are deported instantly,” Modibbo added. He blamed some agents for the woes of many Nigerians working in Saudi Arabian companies and other organisations. “The agents manage to get passports and visa for their clients, and when they have problems, they come to the embassy daily. He, however, commended the cordial relationship between Saudi Arabian Government and Nigeria, adding that Nigeria recently got a $10 million donation from the Kingdom to assist Boko Haram victims.